EQ-SP-MAM-32 is a customized 32-cavities manually operated arc melting system in the glove-box. Two 16 cavities copper hearth with water cooling is installed in the glove box with the humidity and oxygen purification < 2 ppm. You can move arc torch gun to each cavity and melt metallic sample up to 3000°C. 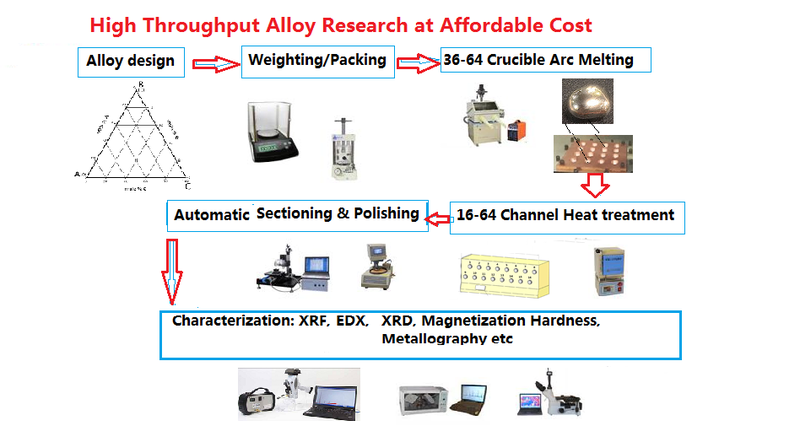 It is an excellent tool for high throughput MGI research for new generation High-Entropy Alloys at low cost. 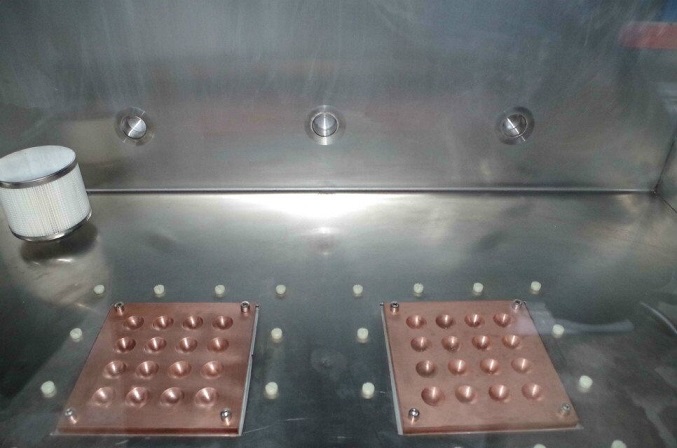 The steel cover is included to protect the samples from cross-contamination. Input Voltage: Single phase AC 220V (+/- 15% . 50/ 60Hz) (40A Breaker for this welding). 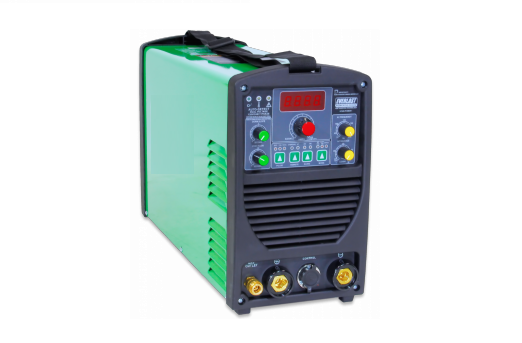 Optional: larger current up to 300A is available at additional cost. 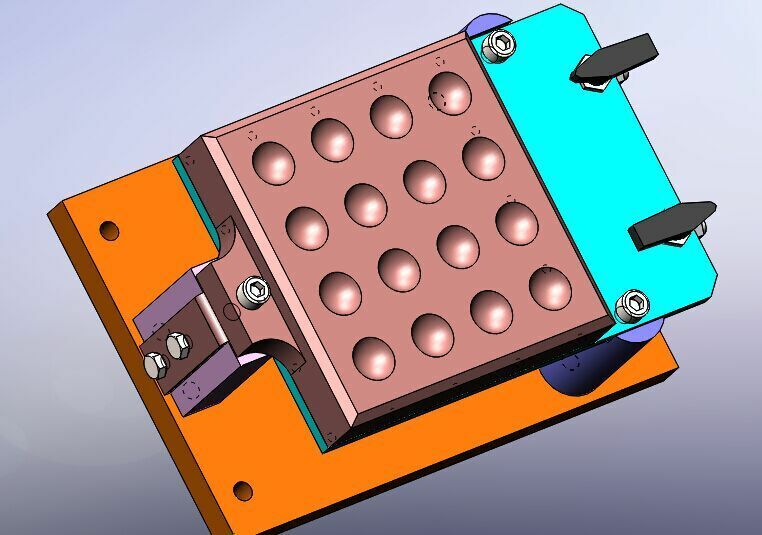 Water cooling is required ( not included ) for its chamber, copper mold, and the electrode. Please consider using the KJ-5000 recirculating water chiller. 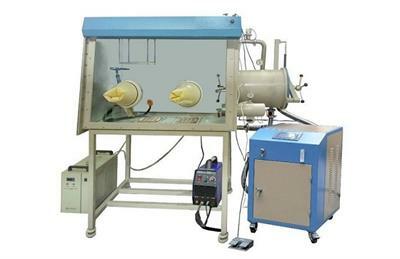 High purity Ar gas is required (not included) for arc melting process. The all new automatic version will online soon. Layered amorphous silicon as negative electrodes in lithium-ion batteries, in the article arc melting the Si and Li in new anode research. 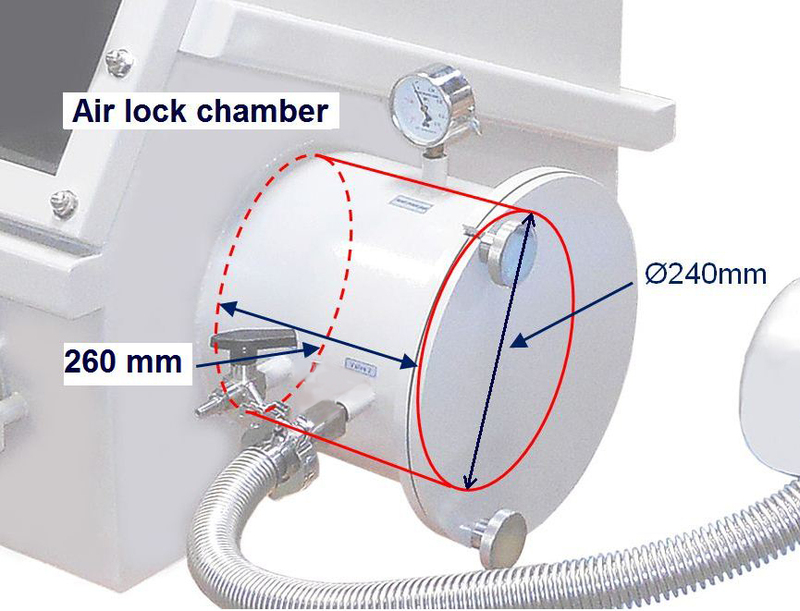 The use of corrosive gasses is prohibited as they will damage the water and oxygen sensors! 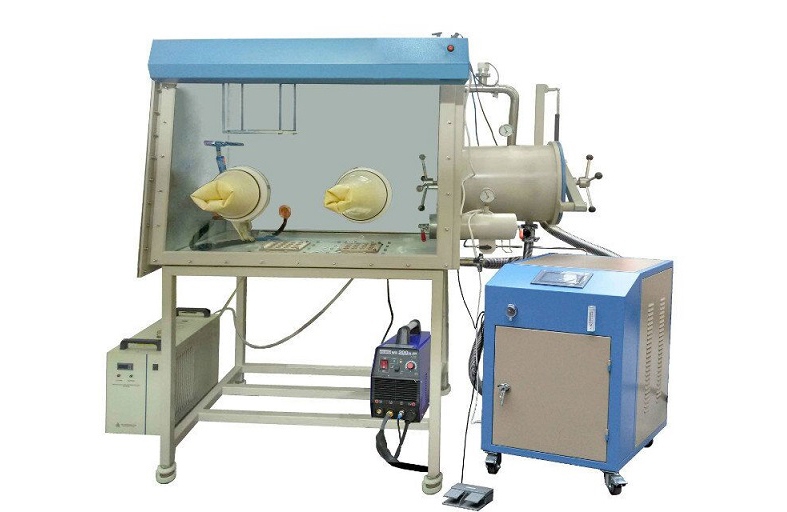 During arc melting operation, never allow the tungsten tip to touch the material or the copper crucible! 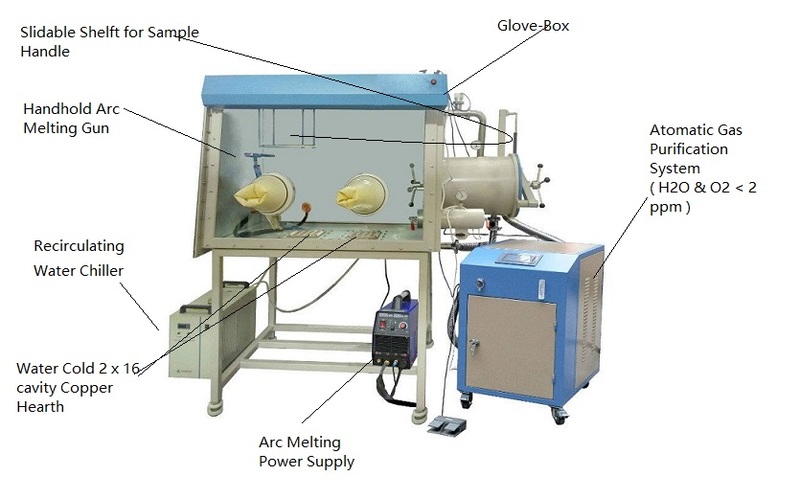 Move glove and hand away from the copper crucible while the sample is hot or the arc melting is in operation! Use tweezers to manipulate the sample only after the sample has been cooled down. Never do the arc melting outside of the copper crucible! 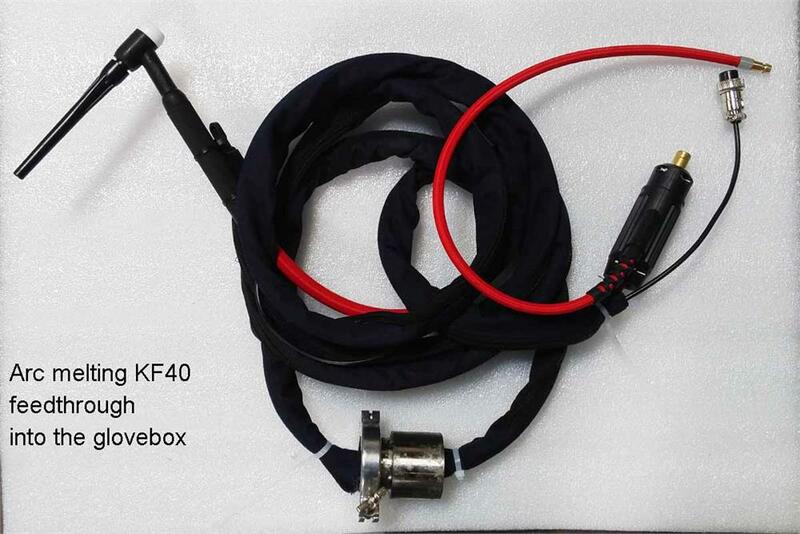 It may damage the glove-box and cause electrical injury to the user. 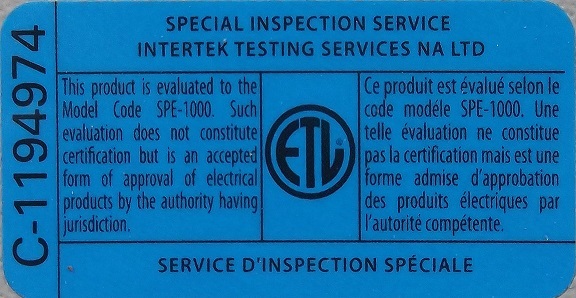 The user must wear safety glasses or mask with the tinted window when operating the equipment for eye protection. 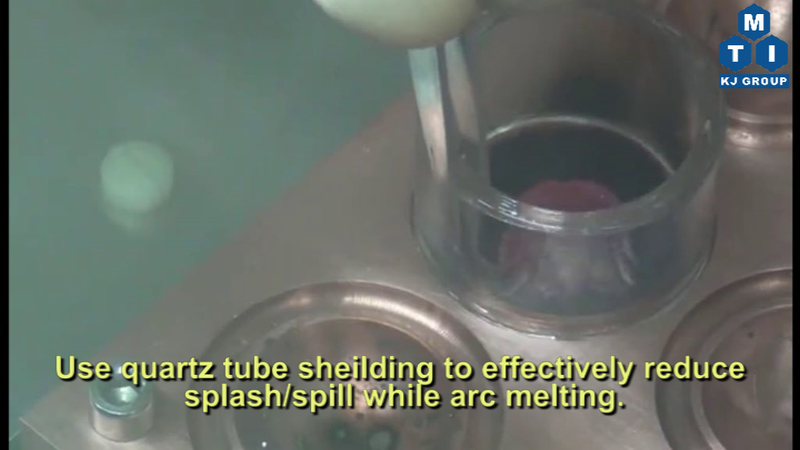 Option: The user may use a quartz tube shielding to effectively reduce the splash and spilling while arc melting. Please click the picture below to watch the demo video.